The screw press dominated coinage technology in the Colonies and was the only kind of press used in the United States Mint from its humble beginnings in 1793 until the introduction of the steam press in 1836. 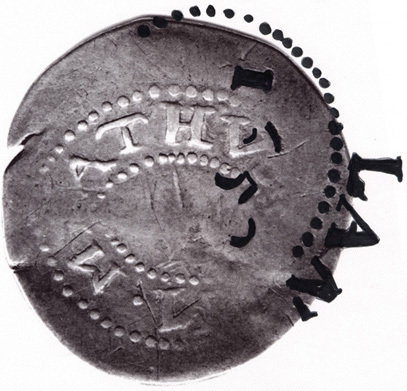 As a result, most students of early American mint errors are familiar with the types of errors produced using the screw press, but are unaware of errors from the earlier era of the rocker press. The coin to be discussed here is from the era of the rocker press. This coin (Figures 1 and 2) is an oak tree sixpence struck over an oak tree shilling, one of the so-called “6-over-12” pieces. 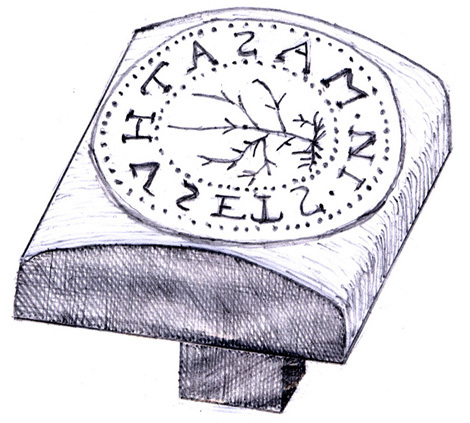 All Massachusetts silver coins are known by their Noe varieties, and this particular piece is a Noe 20 Oak Tree Sixpence struck over a Noe 10 Oak Tree Shilling. These 6-over-12’s are of interest to the error collector because they are the earliest double denominations known among American coins. 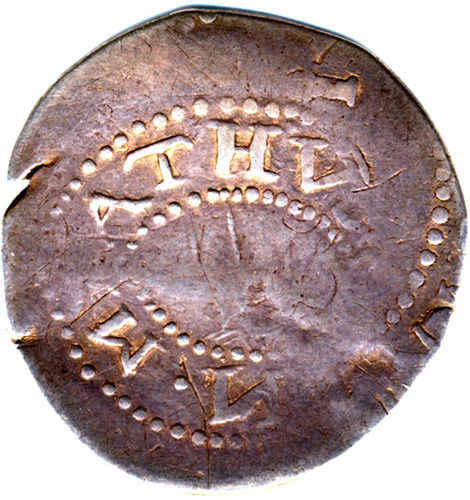 The reverse of this sixpence (Figure 2) is relatively normal, showing the date (1652), the denomination (VI) and NGLAND of the legend NEW ENGLAND. The obverse, however, is more unusual, especially because most of the tree that should be in the center of the piece is missing, as are major parts of the legend that should read “IN MASATHVSETS”. In Figure 3 the missing parts of the obverse are drawn in based on photographs of other sixpences of the Noe 20 variety. On this coin the right side of the obverse was very weakly impressed by the sixpence dies, and so was the left side of the reverse (which lies directly behind the weak obverse area). 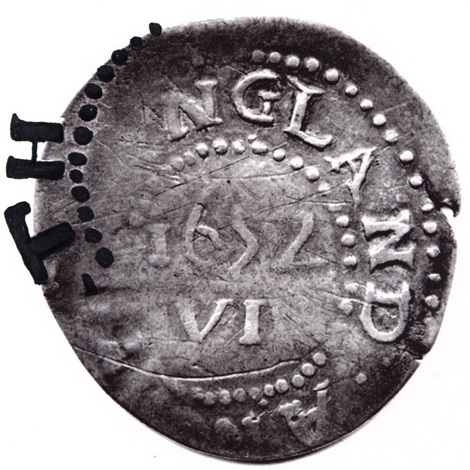 These weak areas allowed some of the undertype of the oak tree shilling to show through, including on the obverse much of the 1652 date, some of the inner circle of dots, and the bottoms of the letters LAN in ENGLAND. On the reverse, some of the inner circle of dots and the bottoms of the letters TH in MASATHVSETS are clear. The shilling undertype detail is highlighted by the darkened areas in Figures 4 and 5. Enough of the shilling undertype shows to allow it to be attributed as the Noe 10 variety, as follows. 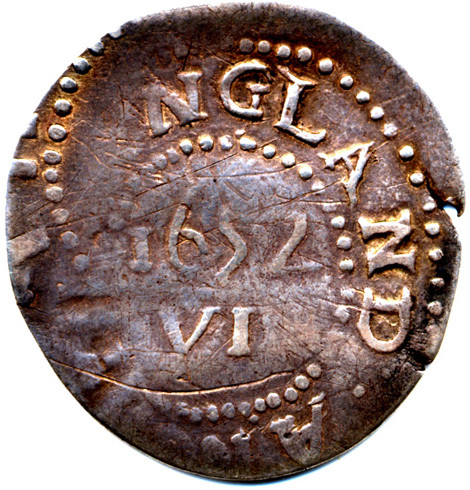 The date side of the shilling (on the obverse of the sixpence, Figure 4), with its sloping down “5”, and its arrangement of dots under the LAN in ENGLAND, matches exactly the one die that was used, with minor modifications, for 5 shilling varieties, Noe 10 through Noe 14. The critical factor in determining the variety is that the bases of TH from the other side of the shilling (Figure 5) show no serifs at all, as only on Noe 10. (Serifs were added when the dies were recut to produce varieties 11 through 14). An excellent illustrated sequence of Noe 10 through Noe 14 can be seen in Stack’s auction catalog of the Hain Family Collection (January 15, 2002). Knowing that the underlying shilling type is Noe 10 may provide a clue as to why this overstriking was carried out. Noe 10 is a variety that has been called the “ghost tree” variety (2), because on all known specimens the tree is softly struck to invisible. Thus the overstriking may have been done because the original shilling was found to be unsatisfactory due to the extreme weakness in its central detail. Another challenge is to determine how the central portion of the oak tree could simply be omitted from this coin’s obverse. Referring back to Figures 1 and 3, it is clear that the top of the tree is very close to the tree’s roots. It is as if the obverse die had no center section! 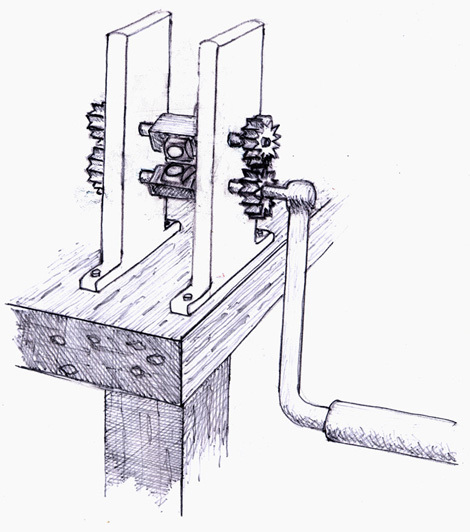 In order to understand this kind of error we need to take a look at how a rocker press works. Obverse and reverse dies are inserted via their stems into the 2 axles on the press. At the ends of the axles are gears that maintain the correct relationship between the dies. When the operator of the rocker press turns the crank, the dies rotate and are brought together (Figure 7) with a coin blank in between. The detail of the dies is “squeezed” onto the blank. Because of the way the dies come together in the rocker press, it becomes apparent that the missing tree detail can be accounted for by a slip of one of the dies while the coin was passing through the press. If the obverse die (tree side) slipped ahead relative to the reverse die while the coin was being held firmly on the reverse die, a portion of the obverse die simply wouldn’t contact the blank. Slippage could be caused either by improper securing of a die stem in an axle, or by improper meshing of the gears. A “slipped die” error of this kind could not happen to a coin struck in a screw press. Thus this Oak Tree sixpence from the 17th century not only represents the first known American double denomination; it also provides an opportunity to investigate a new type of mint error produced by rocker press technology. (2) Stack’s, Public Auction Sale of Americana, The Hain Family Collection of Massachusetts Silver Coins, January 15, 2002, pp. 20-21. 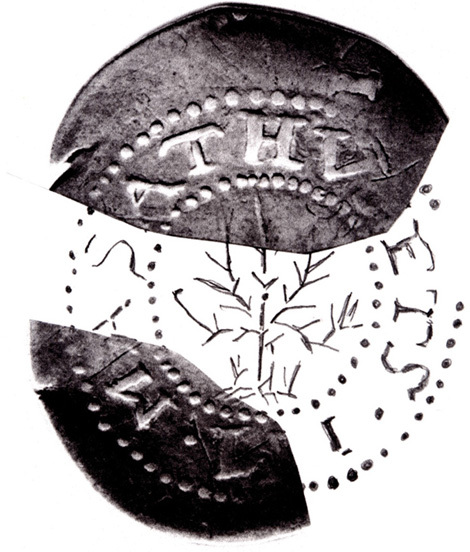 (3) Denis R. Cooper, The Art and Craft of Coinmaking, Spink & Son, London, 1988, figure 73a, p. 71.